Update the design of an empty tabletop with the bright decorative burst of the Supernova Table Decor by Moe's Home Collection. Available to purchase in pairs, this metal sculpture looks lovely on an accent table, coffee table or desk. 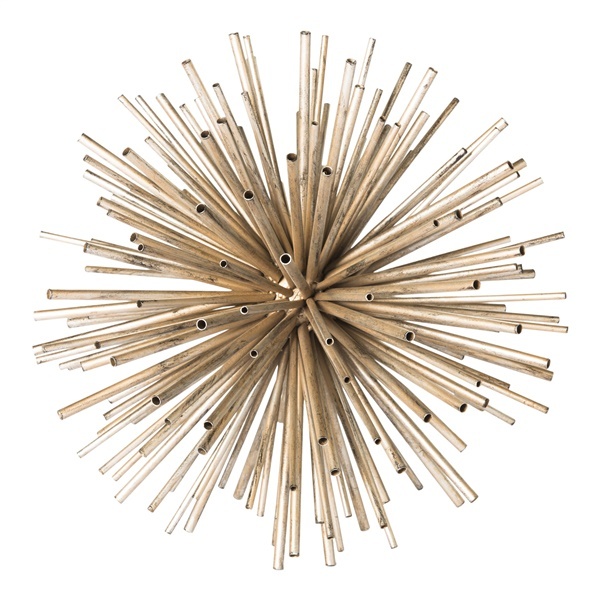 Hollow metal tubes are cloistered together on this piece to form a celestial starburst that is sure to gain the attention of visitors and reflect the ambiance of the room. For a bold and unique look, use the Supernova Table Decor by Moe's as the centerpiece of your dining room table.